This course teaches neurologically-based approaches to instruction, using recent research to support and develop improved teaching strategies. Teachers will examine the latest research concerning how the brain constantly searches for meaning and seeks patterns and connections. Educators will view a Video that reveals how the sectors of the brain function together in the learning process, which will lead to the development of neurologically-based curriculum. Teachers will write a culminating essay or develop lessons or activities for the classroom to demonstrate their knowledge of using recent research to help students retain and apply information. Educators will learn about and develop a working knowledge of the latest brain research and learning theory. They will also acquire a basic understanding of the brain's physiology, size, content, lobe areas and basic brain operations. Educators taking this course will understand how humans actually learn and remember new information. Teachers will learn how to use the brain's learning systems for memory retention, storage and the retrieval of knowledge. Educators will learn about the brain's high and low attention cycles. They will examine the special education issues of ADD, LD and ADHD and the classroom implications. 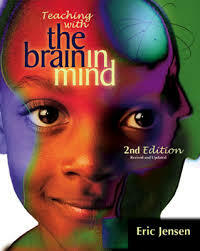 Educators will explore how the brain’s natural reward process affects the attitudes of the students and learn techniques for developing intrinsic motivation. Educators will develop a final application essay; activities or lesson plans that help teachers improve attention and create a more effective educational environment.